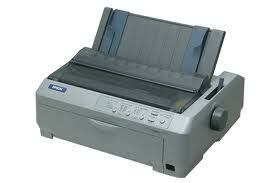 C11C524025A6 Epson Fx-890 Dot Matrix Printer - Refurbished with 3 months Return To Base Warranty & Working Consumables. The Epson Fx-890 Dot Matrix Printer is as good as buying new as all worn parts are replaced. This saves you up to 50% off the price of a brand new printer. We are confident that you will be 100% satisfied with your Epson Fx-890 Dot Matrix Printer and are here to help with any support questions you may have. The Manufacturers part number/product code for this item is: C11C524025A6. A full-featured, high-value performer, the Epson FX-890 offers the durability and ease of use required for critical daily print requirements. This 9-pin, narrow-carriage workhorse boasts an MTBF rating of 20,000 power-on hours (POH) and speeds of up to 680 cps. Engineered for seamless integration, it provides Parallel, USB, and additional connectivity options. And, it includes EPSON Remote Configuration Manager™ software for easy printer setup and simple setting selections via most Windows® operating systems. Ideal for rugged environments, this robust printer is the perfect drop-in replacement for the Epson FX-880 / 880+ / 980 or Okidata® Microline® 320/320 Turbo. An extremely reliable, high-speed performer, the Epson FX-890 races through forms up to 7 parts thick through four convenient paper paths. Its easy-to-install 7.5 million character ribbon cartridge boosts productivity and ensures a low cost per page, while its 400 million character print head life offers added dependability. - Speeds through multipart forms, reports, labels, and more at up to 680 cps. - Offers an MTBF rating of 20,000 POH and a 400 million character print head life. - Facilitates easy printer configuration using a newly designed control panel or Windows based Epson Remote Configuration Manager. - Provides resident Epson, IBM® and Microline printer languages for increased compatibility. - Includes standard Parallel and USB connections, plus an additional slot for optional interface cards. - Ensures a lower cost per page, and reduces the need for frequent user intervention. - Provides four convenient paper paths to accommodate cut sheet paper and continuous forms up to 7parts thick. 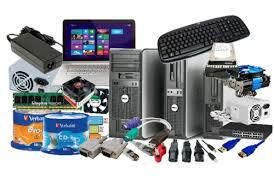 - Includes access to Epson's superior technical support.